I have been living with my boyfriend for three years and we have a wonderful relationship. Last year we bought a lot to build a house and we have talked about children in the future. But my family keeps asking when we will get married. I want to get married but when I mention it he says he is happy with the way it is now. He says he would live together forever but how do I make him see that a wedding is important? Don’t confuse marriage with commitment. Many couples are committed to each other without being married, and in the eyes of the law, you can be a common-law husband and wife. A piece of paper does not make a couple more or less committed, it is an emotional and public ritual many people undertake but your bond is not weakened without it. You want to make him see that a wedding is important to you, but take a look at the level of commitment the two of you share now and understand how important that is. If he is happily talking about a house and would live together with you forever then you need to decide which is more important—the commitment he already shows you or your desire for the ring. Put family pressures aside and examine why it is important to you and why he is reluctant. This is between the two of you. Enter into a discussion with the understanding that the only mind you can change is yours and don’t assume he will change his sometime down the road. Be ready to listen to him. It will not benefit you to place demands on him and his going along with you just because you want it is not a good way to start a marriage. Maybe “married” does not mean the same thing to him as it does to you. If he views the idea of marriage as a ritual with no real value, but is committed to family, love and a home together, you will have to reassess the value you place on marriage as a ceremony. If you have your heart set on the wedding, he may not be the man for you. Either accept that he is committed without the ceremony or, if it is something you cannot live without, find a man who will sign on the dotted line. 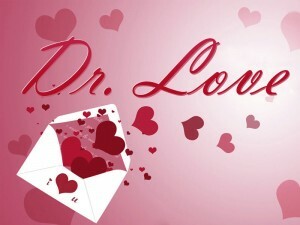 The doctor likes to think that a marriage of the heart and mind is more important than the ring and the paper.